Dog Ear Publishing releases “Bobo and the Pooch” by Regina Allen-Wilson. Two young animals – very different from each other – learn the valuable lesson of friendship in this new book released by Dog Ear Publishing. An unexpected encounter has lasting effects on a bear cub and a puppy in this new children’s book that shows how two unique individuals can become best friends. Bobo, a lonely bear cub, explores a new side of the woods where he lives and sees a strange animal named Pooch. He is afraid to get close to the friendly puppy because they seem so different, but once Bobo overcomes his fears, something unexpected happens. 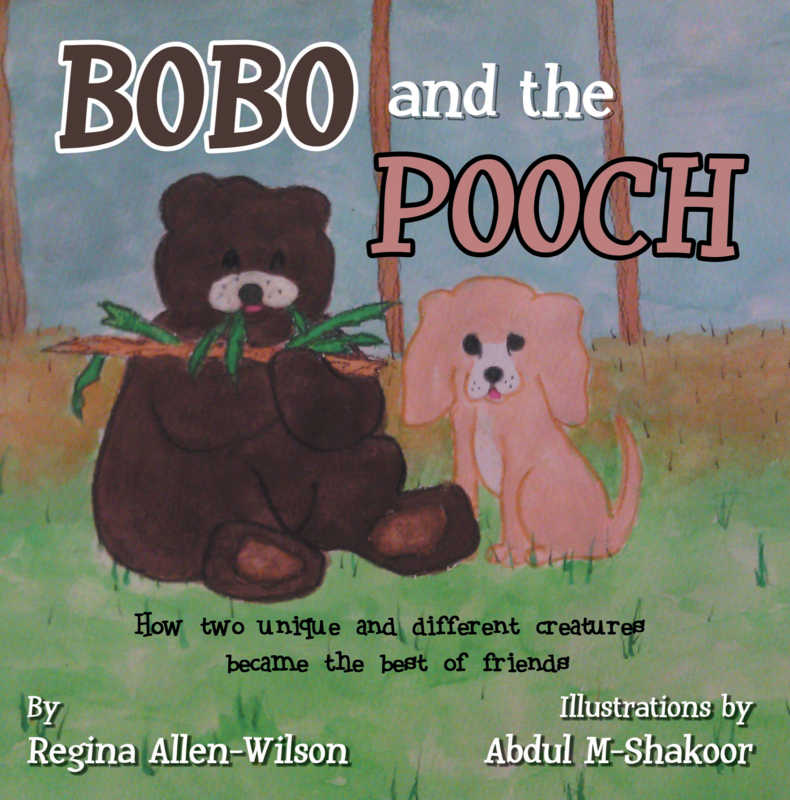 “Bobo and the Pooch” tells the story of these two unlikely friends, who begin to play, chasing each other and exploring the woods where Bobo lives. Despite their different lives, such as Bobo having to help hunt for his food while Pooch does not, they soon learn they share many things and become best friends. Simple, child-friendly illustrations by Abdul M-Shakoor add to the charm of this picture book that offers a gentle lesson in the importance of friendship and learning about someone who is different. Discussion questions on the last page allow parents to reinforce what children learn while reading the book together. Award-winning author Regina Allen-Wilson has loved writing since she was a child. Recent books share her concerns for today’s youth, covering such topics as self-esteem and embracing our unique differences. The book’s main character was inspired by the author’s mother’s teddy bear named Bobo. For additional information, please visit www.boboandthepooch.com.